The switch from individual servers to networked systems has made in-house data centers expensive and so many companies are shifting to collocation services to accommodate their data centers. The collocation facility enables the company to place their data’s off-site with experts on charge to manage and prevent system failures and security breaches. Unlike in-house data centers, which own an ordinary cooling system and small backup power source, collocation consists of distinct power feeds and various generator systems. When it comes to choosing an area for data center collocation, there is always a confusion. For a city based company, adopting to a local colocation space could be beneficial as leveraging their team in private administration as well as manage everyday business performance becomes easy. For a business in a disaster recovery zone, long distance data center would be beneficial. 1. Scalability- Colocation facilities fulfill all the regulations, standards and requirements concurrently, include aisle containment structures thereby cutting operating cost. The asile containment structure increasingly accepted because of it's easy expandability and effortless deployability that can accomplish all the determined goals. 2. Sustainable infrastructure- Data center collocations provide peerless infrastructure that offers power access, delivery and efficiency along with foremost solutions for power, connectivity, bandwidth and latency, helping the company to reach proficiency. 3. Security- Colocation providers protect the data’s from physical attack, fire through personnel monitoring and continuously update their potential making sure that all the data’s are secured. 4. 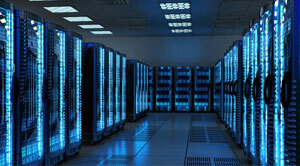 Cost- Colocation facility not only cuts capital expense but also reduce operation expense minimizing the overall cost.